Choose to push your limits and see how your confidence and self beliefs grow. For those campers with an interest in the outdoors, we offer a comprehensive adventure program with low and high ropes challenge courses. Campers can master elements on our ropes course, including our zip line, climbing wall, vertical gym and giant swing, while they enhance individual self-confidence and provide opportunities for discovering team building and cooperation with others. Our program also includes an orienteering elective, during which campers hike on the campgrounds and learn more about the environment in which they are living during camp. Our Kallies (7-8th grades) also have the opportunity to go on an over-night camping trip to a campground outside of camp. 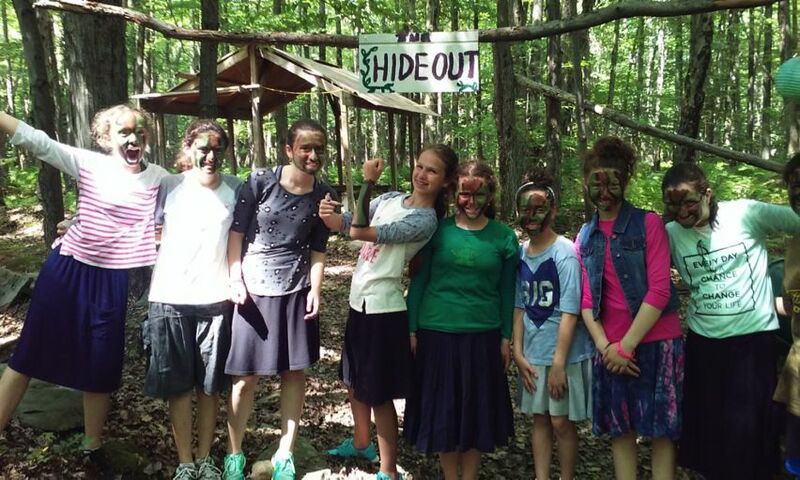 Our newest electives, Survivor and Wilderness, teach campers skills and lessons necessary for surviving in the outdoors, including fire building, camouflage, self defense, shelter building, first aid, team building, and more! 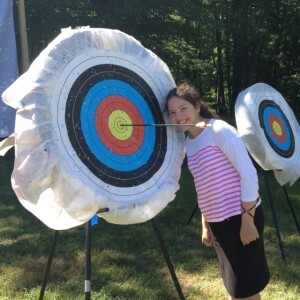 We now offer a new and exciting archery elective! 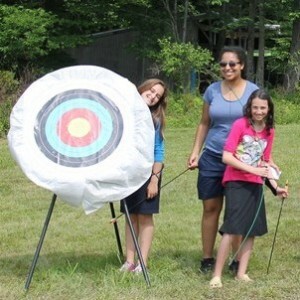 Our girls are learn how to properly shoot an arrow at a target and are given guidance and instruction to improve their aim and control…They may even shoot a bullseye! We also offer horseback riding lessons at an additional cost. Our campers receive professional instruction and learn to ride both in the field and on our trail. Additionally, the campers learn how to properly care for the horses and gain a better understanding of the responsibility needed to take care of animals.